« Sept. 21 – Let’s Get CRITICAL! Gather round, Nerds! Your friends at Nerd Nite Ann Arbor have more amazing speakers ready to shine a light on some spectacular topics! Dr. Monica Dus force-feeds cake to fruit flies and while it turns out not to be great for the fruit flies, it IS really good for figuring out why humans get so hooked on sugar. Come face the horrors of your very own human biology! Did you see Blade Runner 2049? Alex Kourvo did, and she has THOUGHTS about it. She’s actually got a lot to say about cyberpunk as a whole – so join us for the story of the birth of this science fiction genre. Kulky Nakai is back with a talk about the psychology of human sexuality, delivered in her signature stimulating style. You’ll laugh, you’ll cry (from laughing), you’ll relate, you’ll make meaningful eye contact with a friend. 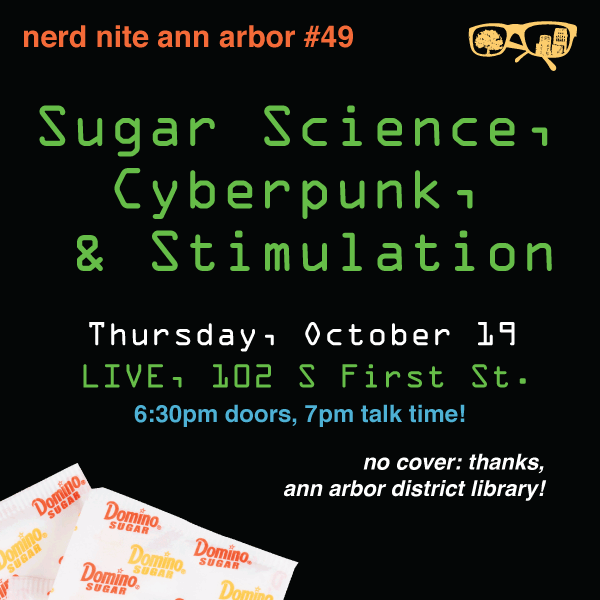 This Nerd Nite A2 is not to be missed – it’s going to be sugary, science fiction-y, and above all, stimulating. Where: Live, 102 S. First St. Cost: Nada! No cover thanks to the sponsorship of the Ann Arbor District Library! Fruit flies’ eyes are bigger than their stomachs (no, really, they are), but this is not why they love sugar. In our lab we feed cake to fruit flies to see what happens to their brains (#badlyexplainyourjob), and boy, a lot happens, and most of it is NOT good. Maybe this is why we all love sugar and can’t stop eating it. And if you are one of those weird people who doesn’t maybe stop by the lab so we can study you? About Monica: I received my first microscope at age 7, a gift from my dad, and had an idyllic childhood in Italy pulling hair off Barbie’s and legs off bugs and looking at them under the microscope. What really kept me in science, however, was the pervasive beauty of the natural world. I still remember the first time, as a high school student, I heard about molecular biology: I was amazed by its beautiful complexity. Nearly twenty years later, I still haven’t found something that is man-made and more beautiful than the natural world, not even a Dolce and Gabbana dress. At 18 I left Italy for the USA, majored in Biology and Philosophy, got a Ph. D in biology at Cold Spring Harbor Laboratory, and in 2015 started a lab at the University of Michigan where I also teach genetics and neuroepigenetics. My favorite things in life are dogs, desserts, philosophy and post-modern literature, pastel colors, fuzzy things, and unicorns. About Alex: Alex Kourvo loves books. 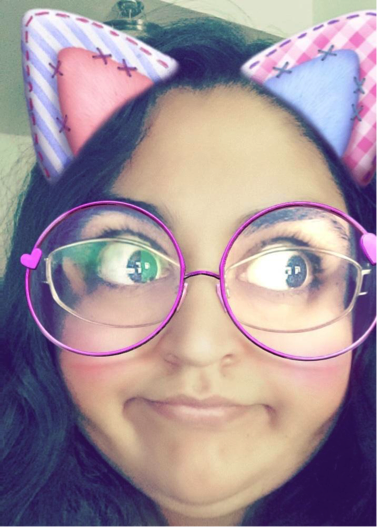 She writes them, reviews them, edits them, and teaches other people how to write them. 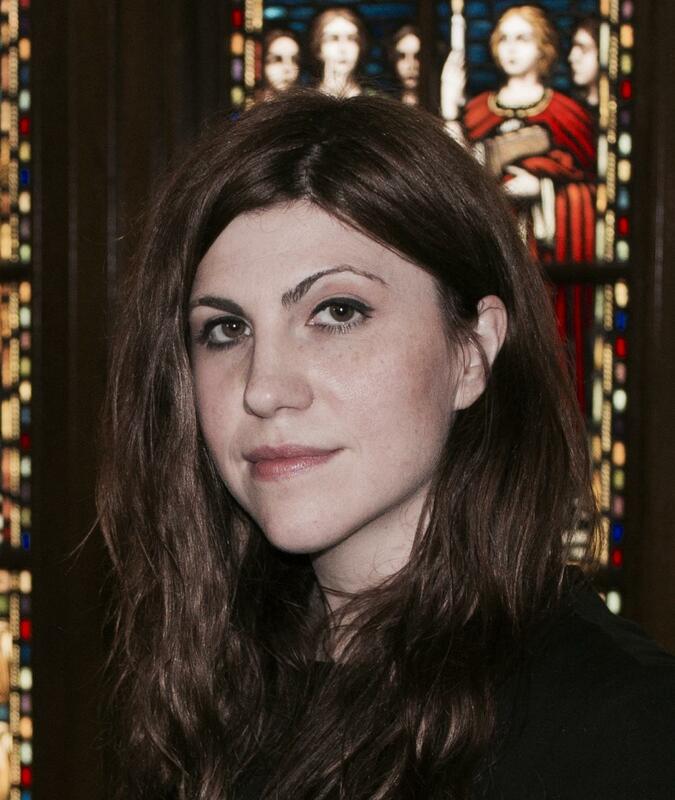 She is the author of numerous short stories and the forthcoming “Detroit Next” series of near-future thrillers. 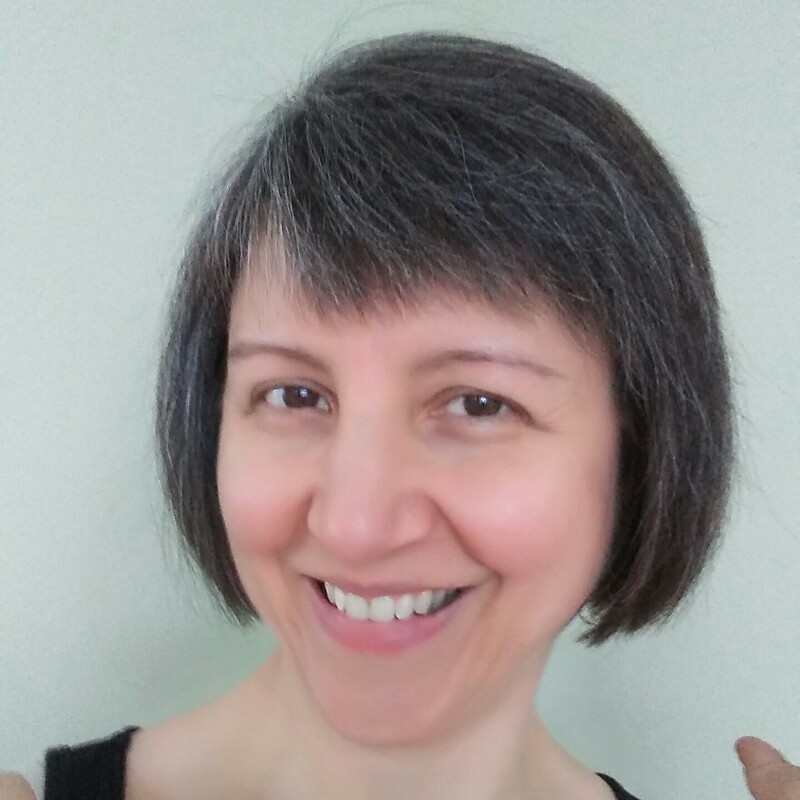 She edits books for Fifth Avenue Press and helped start the Emerging Writers Workshop at the Ann Arbor District Library, where she teaches monthly classes for new writers. You can find Alex online at AlexKourvo.com or follow her @AlexKourvo. About Kulky: Psychologist Kulky Nakai is more than a scholar, researcher, and clinician, she’s also a philosopher, creative writer, and entertainer who enjoys pushing socio-cultural boundaries and provoking common thought to the cutting edge. She recently launched her very own b/vlog and podcast titled “More To Be Revealed,” a space dedicated for exploring the unknown with a curious heart and a funny bone.